UMBC students packed the Event Center on Tuesday night, ready to support their men’s basketball team as they looked to advance to the America East Championship for the first time in ten years. Ironically enough, the team standing in their way was the Hartford Hawks, the team that they beat ten years ago to earn their first-ever America East title. 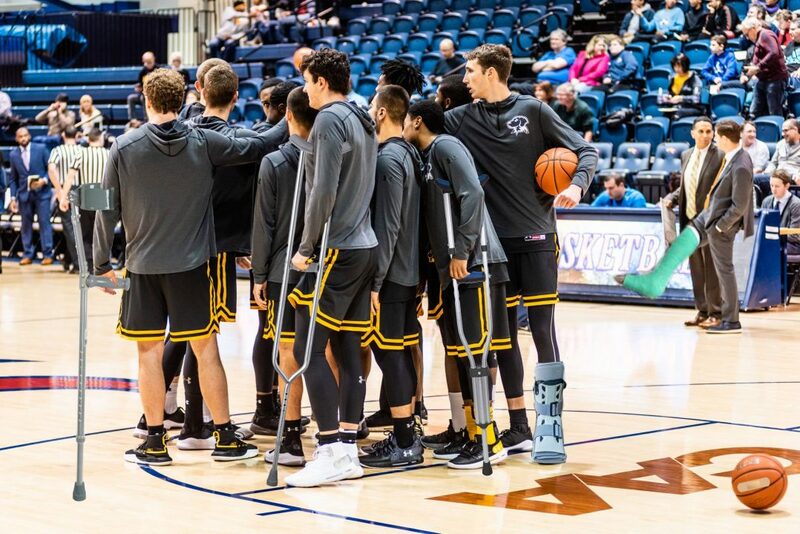 Since then, the UMBC basketball program has struggled, and before the first-round comeback against UMass Lowell, they had not won an America East tournament game in five years. With this season, Grant had the opportunity to erase all of the lows from his first two seasons and replace them with the highest high he has experienced in his college career thus far. With the help of fellow senior-guard and sociology major KJ Maura and Graduate-guard Jairus Lyles, he would do just that. 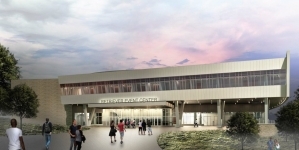 The game started with a roar, as the 2,234 fans in the Event Center were dialed in from the very beginning, rivaling the atmosphere from the Event Center opening last month. The Retrievers and the Hawks would trade blows back-and-forth for the first ten minutes of the game, neither side allowing the other to get any more than a single possession lead. Hartford would eventually land the first big blow of this match-up of America East heavyweights, taking a 5 point lead. The Retrievers would strike back minutes later, as sophomore-forward Arkel Lamar scored 6 straight points to tie the game 22-22 with six minutes left in the first half. The rest of the half would belong to the Retrievers, as they used their extraordinary defense to hold the Hawks to 3 points over the rest of the first half, entering halftime with a 32-25 lead. Snow may have been falling outside of the Event Center, but Maura started the second half on fire on the inside. Coming out of halftime, Maura scored 9 points in the first four minutes of the half, prompting the Event Center to echo with cheers of “you can’t guard him,” and the crowd erupted each time Maura proved that statement to be true. “It was a great feeling, the student section has been amazing, especially when we have the arena. We have to give them a lot of credit for these wins, I think they were amazing these couple games,” said Maura after the game. After Maura’s run was over, UMBC found themselves with a 14 point lead that they would not relinquish. The action was not over though, as things would get chippy between the teams as Hartford’s frustration started to leak out on the court more and more. Things would come to a climax late in the half, as senior-center Hassan Attia from Hartford and UMBC’s Lyles had some choice words after simultaneously fighting for a rebound, each player refusing to let go of the ball. The players each had to be held back and were assessed with technical fouls for the altercation. Both players reached 5 fouls at that point, and thus they had to be disqualified from the contest. With about a minute to go, Hartford made the game interesting, cutting UMBC’s lead to just 10 points at 70-60. 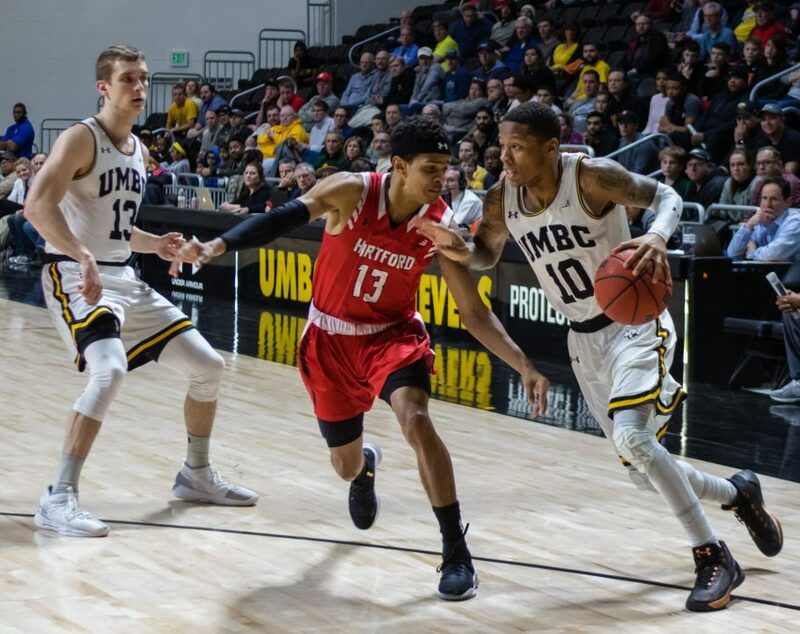 But UMBC would allow Hartford to go no further, shutting down the late comeback attempt on a monster dunk by sophomore-forward Max Curran, and 3 free throws by Maura. Fittingly, Grant would have the ball as time expired, with UMBC winning 75-60. The Retrievers will head to Vermont on Thursday, as they prepare to take on the America East #1 seed Catamounts in the championship game. “Vermont is an excellent team, we’re gonna be in an environment that’s packed, loud, and cheering for their home team. Their players are excellent, their coach is tremendous, and we’re going to have to guard the paint no doubt. They’ve got inside out ability, they’ve got guys that can shoot it so we’re going to have to play much much better to be in the game,” said Coach Odom. 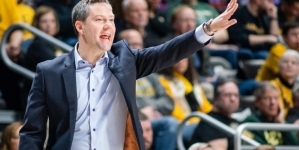 UMBC has suffered two 15+ point losses to Vermont this season, and has not beaten the Catamounts in years. However, they are determined to leave Vermont on Saturday as the champions of the America East Conference.